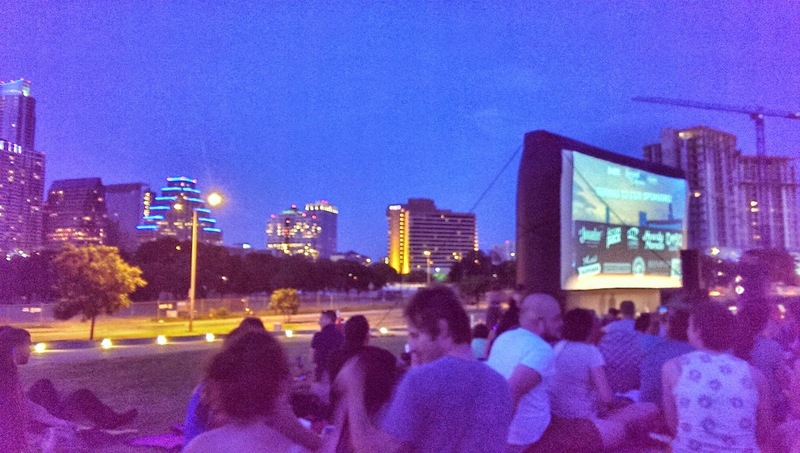 Chad and I (along with eleventy-hundred other Austin peeps) attended Sound & Cinema on the lawn of the Long Center for a showing of Pee Wee's Big Adventure. Dare I say it, and risk tempting higher temperatures to muscle their way to Austin, but the weather was lovely: not too hot or humid. Urban Achievers brass band played jazzy-pop songs before the show. (Even the tuba player manages to dance as he does solos. What a fun spectacle to behold!) 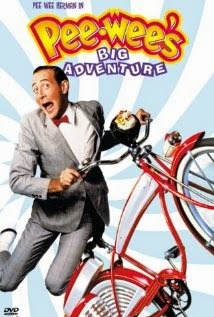 A guy dressed as Pee Wee ran up for a brief introduction of the film, informing us that "today's secret word is Pee Wee". *aaahhhhhh* *waves jazz-hands in the air* Cyclists road past along the trails of Town Lake/Ladybird Lake, one cyclist giving a loud Pee Wee Herman laugh as he cruised behind the big screen. I mention our attendance of something outside, because Chad and I increasingly find ourselves hiding at home, basking in the comfort of air-conditioning and refrigerated beverages. Thus far, this summer is nice and mild. We need to pry ourselves out of the 1952 House and enjoy Austin.